It’s been a while since I last posted new material for you. 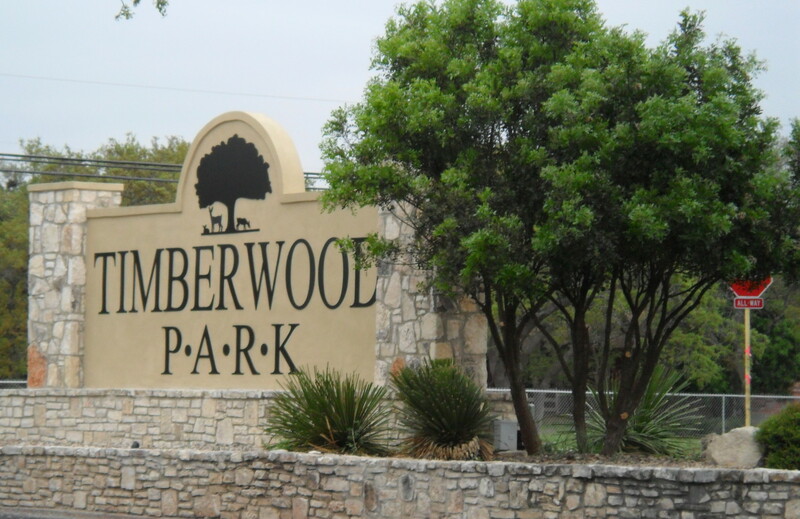 I am once again getting involved in a few new committees and organizations in and around Timberwood/Bexar County. Stay tuned for more updates soon with regard to those activities. I plan to begin posting information that I think you might find useful in the near future and as they are available. Visit the TimberwoodPark website for new updates and design! I have revised and reorganized the web page so I invite you to visit it once again and see the changes. New links are available to reach State Rep. Lyle Larson as well as Commissioner Kevin Wolff with your questions and concerns located on Important Numbers which has also been updated for changes to some telephone numbers and helpful web pages previously posted. Additionally, there are some new professionals who have joined the page that you might find helpful if you need someone for repairs, improvements, projects, etc. Let me know what else you think might be helpful on the web page and I will look into whether or not I can provide it for you! NOTE: The events and activities are for Timberwood homeowners/property owners only. They are generally NOT open to the public. Gate access cards are checked at most events. The next brush and bulky items collection for Timberwood Park is scheduled for Saturday, May 2, from 9 a.m. to 1 p.m. at the Amenity Center. Only the front gate (on Timberline Drive) will be open if you are dropping off items for collection. The back gate (Trixie Drive) will not be open during this time in order to alleviate traffic and congestion during the drop-offs. Be prepared to show your gate access card before entering the Amenity Center. Pool passes are on sale beginning April 16. The 2015 Timberwood Park pool season begins April 24 with grand opening of the pool combined with a Music In The Park Concert. The passes can be purchased in the park office which is open from 4 p.m. to 7 p.m. Wednesday through Thursday. Pricing and further details are found in your property owner e-mails. Park office phone number is available on the Important Numbers tab of the Timberwood Park web page. Rain Barrel making opportunity May 9, 2015 9 a.m. to 12 p.m. at the clubhouse. Check your property owner e-mails for details about how and who to rsvp to as well as the cost associated with this great opportunity for property owners to learn more about conservation and reuse of rainwater. There was a complete listing of concerts for Music in the Park this season appearing in the April property owners newsletter. As dates near, you will no doubt receive updates on times and performers via the e-mail system for property owners. Looking forward to providing you with more information in and around Timberwood soon…enjoy spring….fast enough it will be summer and we will wish for these rainy and cooler days! Tell your neighbors if you think they might benefit from subscribing to this webpage/blog and as always, thank you for subscribing! !